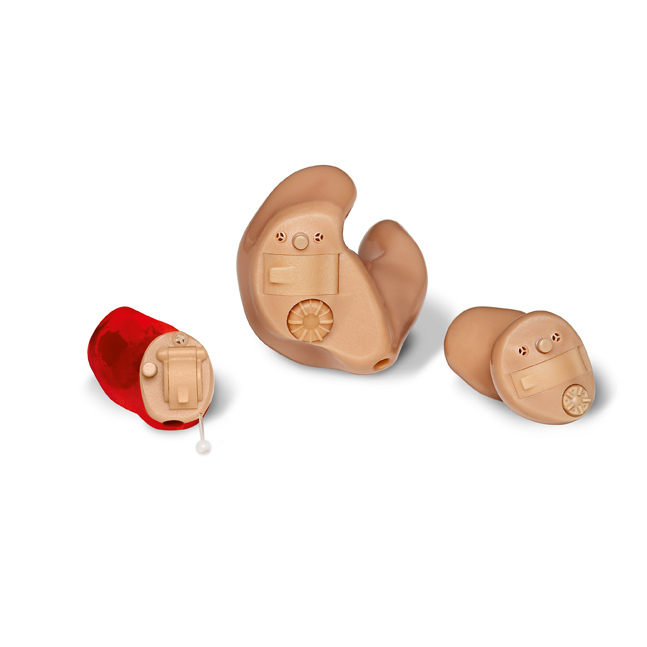 Hearing aids come in a variety of sizes, colors, types, and technology. The two basic hearing aid styles are Behind-The-Ear and In-The-Ear. Not all hearing aid styles are appropriate for every type and magnitude of loss. Below is a description of each style, along with some advantages and considerations when choosing a hearing aid. Open fit hearing aids are appropriate for individuals with a mild to moderate high frequency hearing loss (normal hearing in the low frequencies). This style hearing aid leaves the ear canal open, or unoccluded allowing for natural low frequency hearing to enter the ear canal. RITE hearing aids are similar to open fit hearing aids, but they have the receiver in the ear canal instead of in the case of the hearing aid. 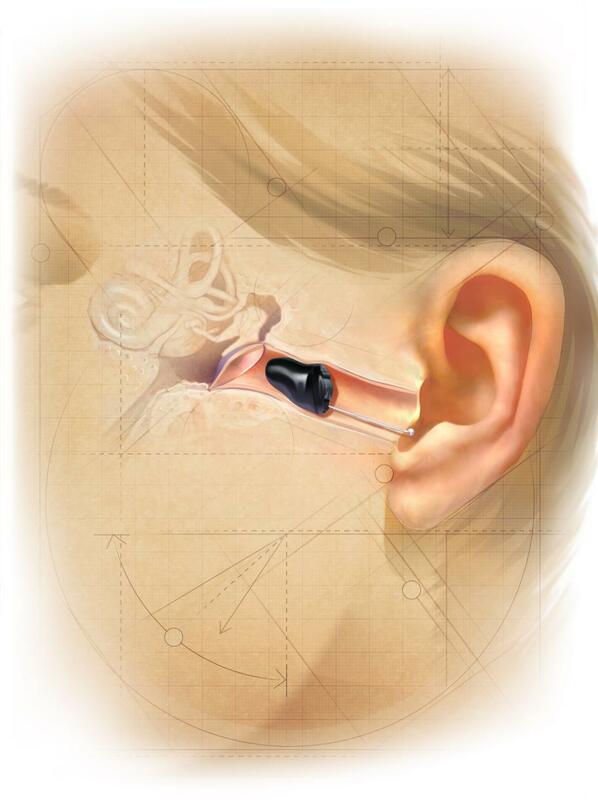 By placing the receiver in the ear canal, it allows the hearing aid to be smaller. Remote microphone hearing aids are also relatively new to the market. 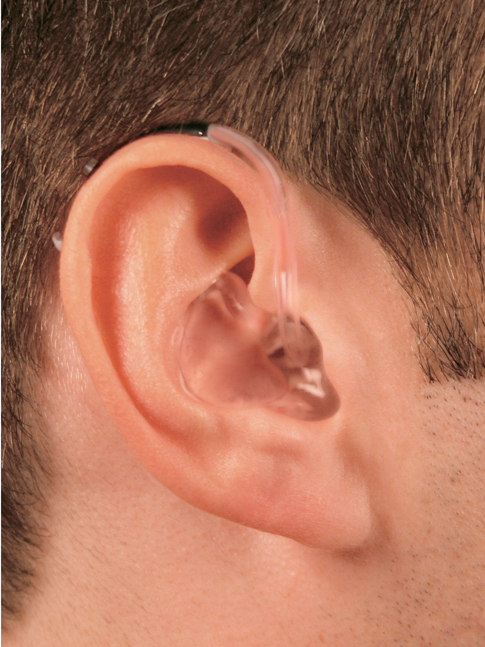 Similar to the open fit design, this style hearing aid is not appropriate for every type and magnitude of hearing loss. The electrical components of the instrument (microphone, amplifier, receiver) are housed in a compact case that tucks behind the ear. Sound is delivered to the ear canal through a clear tube over the top of the ear and into a custom-made acrylic/silicone earmold. Electrical components of this instrument (microphone, amplifier, receiver) fit into a shell custom made to fit inside the ear. An ITE device may be more visible in the ear, though there are several types of ITE hearing aids, such as a Compeltely in the Canal (CIC), and In the Canal (ITC). Somewhat larger and can be easier to handle. The canal style provides a very cosmetic solution that can be hidden in most ears. The completely-in-the-canal is the one of the smallest styles available. This style is a custom product that is designed to be completely hidden within the ear canal.